The Jeep manufacturer is working on the all-new 2020 Jeep Renegade which will hit the market next year. Visually, the new Renegade will get some small changes so it looks more modern. But the major upgrade will be placed under its hood. Therefore, alongside the familiar engine options, the carmaker will introduce the new plug-in hybrid engine too. 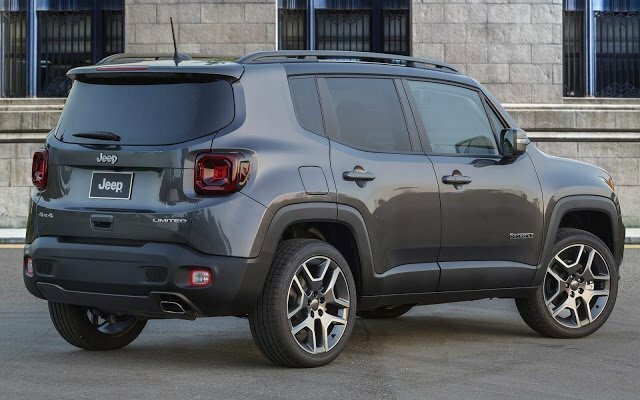 The new 2020 Jeep Renegade will be powered by several types of engines but there will also be a new engine option. So, to start with the familiar 1.4-liter inline-4 turbocharged engine and which will be able to make 160 hp and 184 lb-ft of torque. This unit will be mated to a 6-speed manual transmission and will be offered with front-wheel and all-wheel drive configurations. The FWD model will get 24 mpg in the city and 31 mpg on the highway. The AWD model will be rated the same. The next option is a 2.4-liter inline-4 engine which will work with a 9-speed automatic transmission. It will be able to produce 180 horsepower and 175 lb-ft of torque. The FWD model will get 22 mpg in the city and 31 mpg on the highway. Connected to the all-wheel drive layout, it is rated at 21 mpg in the city and 29 mpg on the highway. Furthermore, for the European market, the carmaker will offer a 1.0-liter 3-cylinder engine which will be able to generate 120 horses. On the other hand, the 2020 model year will finally bring the new plug-in hybrid engine as well. However, for now, there isn’t any specific information or details. 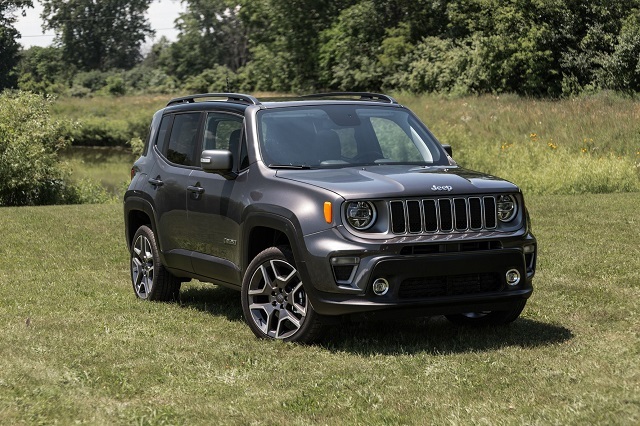 The all-new 2020 Jeep Renegade will hit the market with familiar rugged and boxy appearance. So, it will keep the well-known seven-slat grille, rounded headlamps available with LED lighting, and short overhang. However, it also looks modern with lots of black details and curved surfaces. For the 2020 model year, the new Jeep is expected to get just some small visual changes which will make it more modern and fresher. The standard model will be fitted with standard 16-inch wheels while the manufacturer will also offer the optional 19-inch bright aluminum alloy wheels. 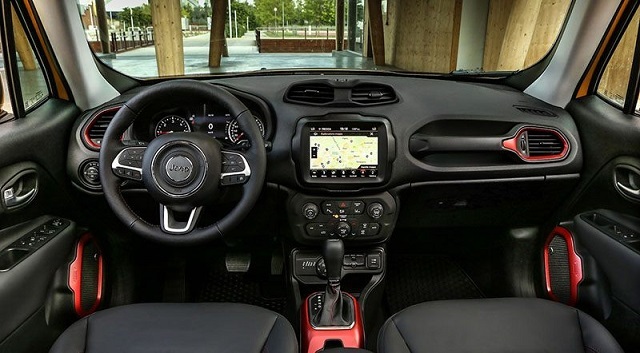 The 2020 Jeep Renegade will come standard with two rows of seats. The front seats are spacious and comfortable while the second row might be a bit tight for the taller passengers. The cargo room of the Renegade measures 18.5 cubic feet but with the second row folded down, there is a room of 50.8 cubic feet. As for the equipment, the base model doesn’t offer many modern features but the mid-range model comes with alloy wheels, tinted windows, dual-zone climate control, a 7.0-inch touchscreen for the infotainment system, Apple CarPlay, and Android Auto connectivity. A panoramic sunroof and remove and stow panel roof system will be optional. The Limited trim will add leather upholstery, 18-inch wheels, and push-button start. The 2020 Jeep Renegade should arrive sometime next year, but there is still no information about the exact date. The price of the base model should stay similar. And it is around $27,200 while the PHEV model will be more expensive.